Driving on idyllic open road against the setting sun forward to new year 2019. Concept for success and future. In Central Switzerland there is a trail that leads to the “End of the World” – the place where the Horbis valley suddenly comes to an end. The trail starts at Engelberg railway station and leads down to the end of Dorfstrasse. There, by the Abbey chapel, you follow the steps up to the road, from where the Grotto Trail branches off on the right up to the Klostermatte. The signposted high-altitude path leads past the “seven springs”, where crystal clear water bubbles from the earth in summer but which are covered in snow and ice in winter. When you reach the edge of the forest a little further along you come across an interesting feature of this walk: the Lourdes chapel. The statue of the Virgin Mary is clearly visible on its rocky ledge. After that, you stride on over the bridge and walk along the left bank of the Bärenbach stream on to Horbis – which doesn’t look so bad considering it’s the “End of the World”. It turns out the end of the world is neither gloomy nor chilly, nor dark nor dangerous – instead there’s a snug restaurant where you can warm your cold hands with a steaming cup of coffee (with or without a drop of something) and enjoy some delicious traditional Engelberg specialities such as Älplermagronen, a kind of macaroni cheese. Once the cozy room and good food have worked their magic, you can return to Engelberg with new energy running through your veins. There is even a free bus service available from Neuschwändi should you need it. If you are there in warm weather and you explore beyond the posted sign, “Das Ende der Welt” you will discover that there is more to be discovered. The reason most trails end is that no one has blazed a new trail beyond a certain point and posted signs for others to follow. Or someone has yet to figure out another way. It might even be that another mode of transport is required in order to continue the journey. It is time to celebrate the end of this year and welcome another new year. Imagine what we might discover as we explore the possibilities for the year ahead. Let’s look beyond the signs for a way forward into new territory and create a trail for ourselves and others. 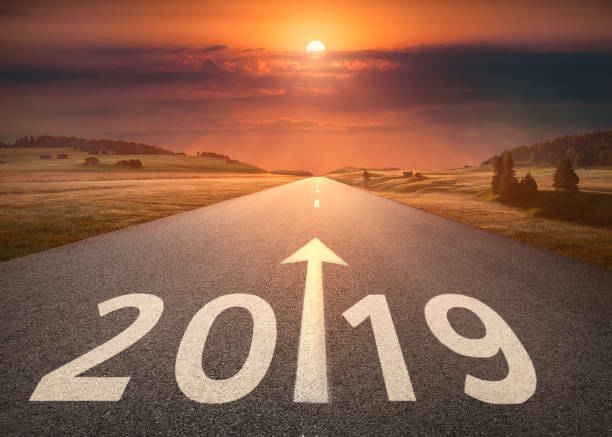 Whether we are creating new models and forms for learning, leading, treatment or design; whether we are learning, growing and changing ourselves, may 2019 be filled with joyful and glad surprises.